If you’ve found this post, congratulations on your unlikely visit. 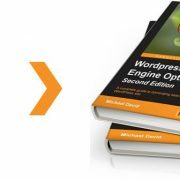 Because if you are seeking information–unbiased information–on WordPress hosting, you’ll be inundated with PPC ads, crappy/biased affiliate “review” sites, remarketing ads, and fluff pages from mega-hosting companies like MediaTemple and WPEngine. And this flood of marketing material is part of the problem: WP hosting is big business and the big hosting companies want that business. So, in any Google search, the top few pages are all paid marketing. So, I am going to lay it all out for you. Why listen to me? Well, because I don’t want to sell you hosting; that is my principal qualification and an important one. What I do want, however, is that if you come to TastyPlacement as a client that you will come to us with good hosting. I have installed and optimized WordPress over 1000 times with dozens of different hosting providers, from $1000 a month dedicated servers to $2 a month shared hosting. I have used everything from basic cPanel interfaces, to Plesk, to dedicated control panels like the type that RackSpace and MediaTemple offer. I have witnessed WordPress sites that take 20 seconds to load, and I have optimized them down to 1 second load times. I have seen enough and know enough to cut through the B.S. The marketing illusion and the basic reality are very different. Yep, I got a $2 a month hosting account through a coupon on WebHostingTalk.com that was perfectly acceptable and actually delivered pages very speedily. The $1000 a month hosting is a managed, dedicated hosting account with a national provider that offered a lot of extra services like regular backups, but very little in actual performance. Remember, Google will reward you with higher search rankings if your site delivers pages more quickly to users–Google laid down this page-speed dictate back in 2010. Site speed only correlates to the cost of hosting if you know what you are doing. The site you are on right now, TastyPlacement.com, is on a very vanilla Apache VPS that costs just a bit more than shared hosting–yet this site’s load speed and reliability far exceed anything I have ever tested on any of the big WP hosting servers. The irony is that the hosting we have is as far away from niche hosting as you can get! Ok, so how to improve your hosting situation? We’ll cover some tips as we move through this post. Think about the notion of “WordPress Hosting”. 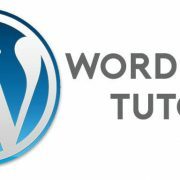 WordPress is a universal platform built to run on PHP–that’s the prerequisite. The whole point of WordPress is that it is universal, there is very little that can be done to an Apache/PHP server to make it run WordPress better that you can’t do with any Apache/PHP hosting account. There’s no secret black box that some hosting company can add over another. In fact, nearly every WordPress-specific hosting company actually makes matters worse for the WordPress user. I already have a dad, I don’t need or want my hosting company making decisions for me. There may be features I want, but ultimately, I care deeply about site speed. Curiously, WordPress hosting companies speak of security and restrictions as “features”. In fact, WordPress “features” may actually slow your site down, and MediaTemple, we are looking at you. Of course, MediaTemple touts their own caching feature, but I have personally never seen it perform very well. No one single solution is ever going to work for every website. WPEngine also disallows several dozen plugins, including several caching plugins. And again, WPEngine has simply never appeared to me to deliver pages that quickly. Aside from the obvious speed advantages that well-tuned caching can deliver, you might want to run Statpress, or WP Power Stats for statistics on your WordPress installation. But stop right there–these plugins are on MediaTemple’s forbidden list. Now, you may want to have all this done for you–and that’s certainly a selling point. But for customization and truly otherworldly site speed, you will get greater control, greater flexibility, better customization and faster site loading speeds with generic hosting. So What Kind of Hosting Is Best? I am bullish on VPS hosting right now. Most sites do not need the power of a full dedicated server, and for those medium-to-small sites, VPS fits the bill at a better price point. Either of those choices will do, but the feature you want with both is solid state drives (SSDs). SSD hosting is faster because the drives are faster. You can get SSD hosting in either a VPS or full dedicated configuration. Shared hosting is just too much hassle these days. Hostgator and Bluehost routinely have support response times in excess of 48 hours on their shared hosting accounts. Forget Windows hosting–it’s just too troublesome to get working with WordPress and once you do, it’ll be slow. You want Apache/Linux hosting with WHM software (Website Hosting Manager, part of the full cPanel package). WHM will give you a handy interface to manage features. Where Can I Get Unbiased Reviews of WordPress Hosting? So, with so much paid biased marketing going on, where to turn for the truth? Anywhere but from hosting companies themselves. I mentioned one source already: WebHostingTalk. This forum is where webmasters go to talk about hosting, review providers and there are several great companies on there that routinely offer coupons. I also like HostBenchmarker.com which offers secret tests of website hosting performance.